In the United States, 40 million adults are affected by anxiety disorders (18% of the population), according to the Anxiety and Depression Association of America. Anxiety disorders are diagnosed in one-half of people who have also been diagnosed with depression. 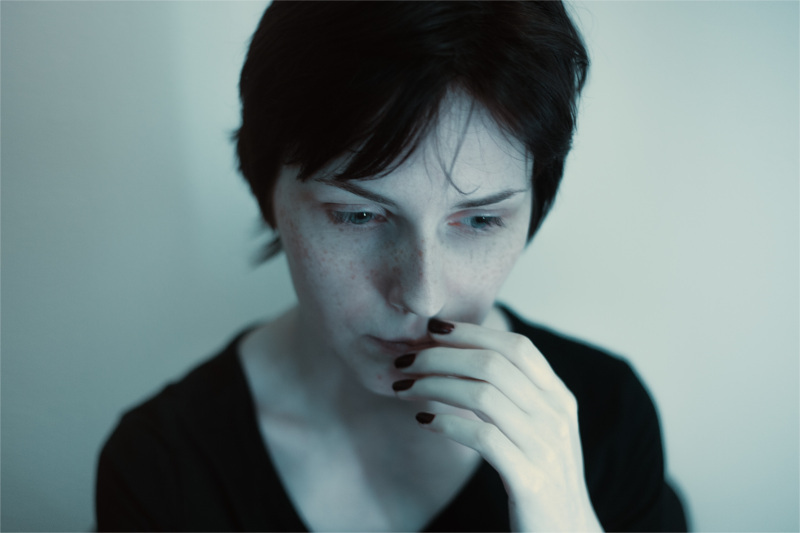 With so much internal struggle, help for anxiety can seem out of reach. Anxiety is an ordinary human experience that everybody faces from time to time, but anxiety disorders cause such great distress that it becomes difficult to function as a normal person. Sufferers of anxiety disorders are crippled with constant worry and fear. It’s overwhelming, but it doesn’t have to be that way. For best results, neurofeedback should be used without medication. If you're currently taking medications for anxiety, our goal is to work with your prescribing doctor to reduce or eliminate your need for drugs. There are four common types of anxiety. Panic disorder causes feelings of terror that come without warning. The person often feels as if they're having a heart attack. Social anxiety disorder is characterized by heightened self-consciousness and overwhelming dread about regular social situations. Phobias are intense, specific fears of objects, people, or situations. Phobias are crippling fears, inappropriate to the circumstance. Phobias may cause people to avoid everyday situations Generalized anxiety disorder involves excessive tension and worry, often unprovoked. There are many possible causes of anxiety disorders, from stress to drugs. Stress at work or school, as well as personally or financially, can trigger an anxiety disorder. This includes stressful events, like the death of a loved one or dealing with a serious medical illness. Anxiety can also be caused by some medications, both over-the-counter and prescription. Use of an illegal drug, like cocaine, can also cause symptoms of anxiety disorders, among other health problems. Help for anxiety should not be dangerous. Nashville BrainCore Neurofeedback witnesses outstanding outcomes for anxiety patients all the time. For many patients, their anxiety has also led to depression and disrupted their sleep. This is why anxiety is such a huge problem in America, but we're here to help guide your brainwaves toward healthy patterns that let you live the life you want. Neurofeedback is safe, effective, non-invasive, painless, drugless, and even fun. Request your first brain map today and get 40% off! "I have been going to Batson Chiropractic for years. They have a host of services including massage acupuncture and braincore. Everyone is really nice and treats you just like family. They have helped me with anxiety, my husband with sciatica and both of us with all around health. One visit and you will fall in love." Neurofeedback, also known as EEG-biofeedback, is an alternative to medications and offers real help for anxiety. Nashville BrainCore Neurofeedback uses this type of therapy to guide a person's brainwaves toward a more normalized pattern. Studies show that this can reduce anxiety and nervousness.